Friday evening. It's cold, it rains but the weekend is coming. Today we are visiting Jens and his wife, who sent us a few weeks ago, an invitation mail to their SofaConcert with the dear Birds of a Feather. It is time to experience a SofaConcert again and to see what our platform is enable to the people is always exciting, especially when you don't know what awaits you. How are the host, what for guest and how much are invited? Wonderful, that we can be a part of that...so we have followed the invitation and are already full of anticipation what awaits us. We are greeted nicely and by and by all the other guests also spin in. Although many of the guests don’t know each other, there were from the beginning a cozy and family atmosphere in the air. Birds of aFeather, those are Amy and Ryan. 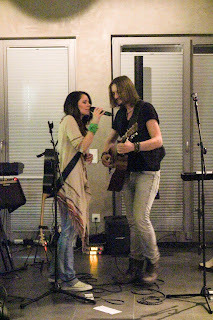 A music duo from Switzerland. They sound a bit like Angus and Julia Stone, Passenger or Bryan Adams. 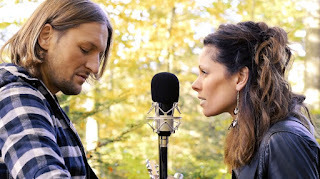 Their music is powerful, real, melancholic, reflected and dreamy. Jens the host, introduces the evening with a very nice sentence: "No matter where we come from and what we make, there’s one thing that connect us - the music." Then he wishes all a great evening. 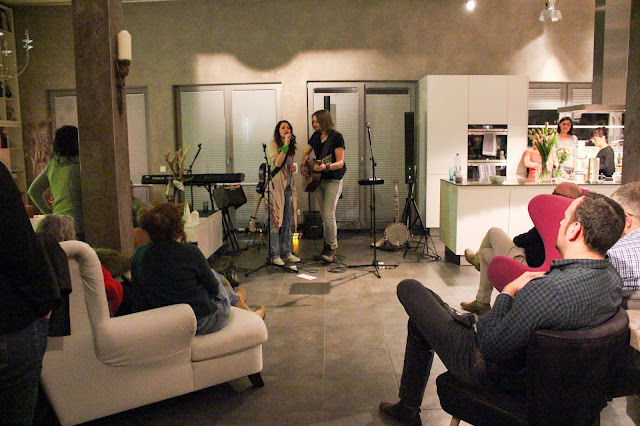 For him and his wife this is not the first SofaConcert which they organize as a host, they have already invited to eight SofaConcerts and they love above all, that it is so individually and nevertheless always a completely different experience. Then it is already 20:30 and the band begins to play, for most guests it’s the first living room concert and you look in many excited faces. But after the first song it becomes clear that all the daily concerns are blown away and you can fall completely in the voices of the two artists and their music. Birds of a Feather are two great musicians, their voices harmonize wonderfully with each other, one voice deep and calm, the other powerful and clear as a mountain lake. The exciting thing about this SofaConcert: Jens has invited his friends, acquaintances and colleagues. The mood that the duo creates through their music is really entraining. Whether old or young, whether student or lawyer doesn’t matter, it is simply a harmonious get- together. The wonderful thing is, that the two musicians tell in between what is actually behind the songs and what inspired them to write these songs. E.g. Also: "Life begins at the end of your comfort zone". In this way, they want to encourage the listeners to try out new things, get out of their daily lives, and sometimes jump over their own shadows, because it's worth it. You can really feel the band talking out of the heart of many people from the audience, picking them up there and bringing them to new ideas. After an hour and a half, the concert is already over and the hat for the hat fee is pass-through. The band does not disappear immediately, they mix with the cheerful audience. This is how a friend of Jens tells us: "It's really great to be a part of something like that once. For me this is also the first living room concert and I am surprised how great this concept works and how close you get to the artists. " There is even time for a little talk with the artists after the performance. 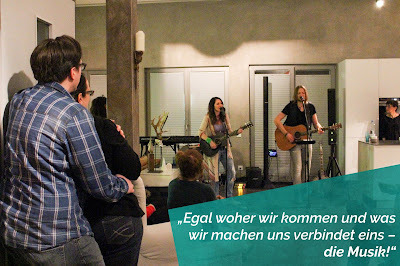 They say that living room concerts are once again something completely different compared to classical concerts. They love the personal mood, that they see how they touch the people with their music and especially the feedback they get after such small concerts. 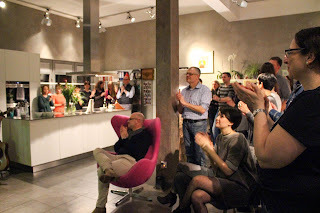 In the faces of the guests you can see enthusiasm and they are also positively surprised by the concept SofaConcerts. Susanne, a friend of Jens: " You come as a stranger, and go as a friend "
Dear Jens, thank you for the invitation and that we could experience your concert. You can’t groove better in the weekend and for many, this is certainly not the last SofaConcert. Click here: You want to make a SofaConcert but don't know how it works?